Gerber's analysis sheds light on the question of whether an entrepreneur should hire an entrepreneur. In some respects, entrepreneurs should only hire technicians and managers. These people will enable the organization to perform the necessary tasks effectively and provide value to customers and shareholders. However, if the employees are not entrepreneurial, will they be able to come up with new ideas and better ways of doing business? Conversely, entrepreneurs within an organization can be a threat. They may constantly come up with new ideas that prevent them from expertly completing the tasks at hand. These ideas may also cause other employees to lose focus on the current execution strategy. Likewise, the entrepreneur-employee may be prone to start a competing business in the future. 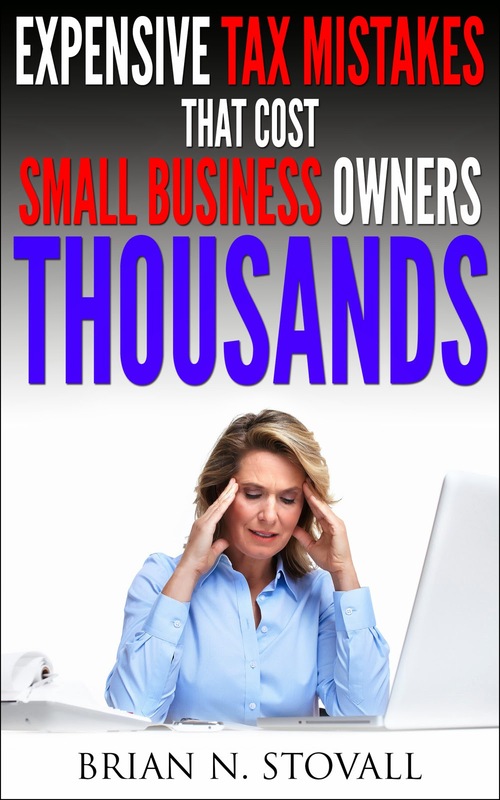 Seems to me that there is really no right or wrong way to operate your small business based on these situations. I guess the key would be to treat everyone (clients, vendors, employees, etc.) with respect and make sure that there is group cohesiveness between you and your employees. 2. Form 843 Tax Abatement. This scam, also new to the Dirty Dozen, rests on faulty interpretation of the Internal Revenue Code. It involves the filer requesting abatement of previously assessed tax using Form 843. Many using this scam have not previously filed tax returns and the tax they are trying to have abated has been assessed by the IRS through the Substitute for Return Program. The filer uses the Form 843 to list reasons for the request. Often, one of the reasons is: "Failed to properly compute and/or calculate IRC Sec 83––Property Transferred in Connection with Performance of Service." 3. Phishing. Phishing is a technique used by identity thieves to acquire personal financial data in order to gain access to the financial accounts of unsuspecting consumers, run up charges on their credit cards or apply for new loans in their names. These Internet-based criminals pose as representatives of a financial institution and send out fictitious e-mail correspondence in an attempt to trick consumers into disclosing private information. Sometimes scammers pose as the IRS itself. In recent months, some taxpayers have received e-mails that appear to come from the IRS. A typical e-mail notifies a taxpayer of an outstanding refund and urges the taxpayer to click on a hyperlink and visit an official-looking Web site. The Web site then solicits a social security and credit card number. In a variation of this scheme, criminals have used e-mail to announce to unsuspecting taxpayers they are “under audit” and could make things right by divulging selected private financial information. Taxpayers should take note: The IRS does not use e-mail to initiate contact with taxpayers about issues related to their accounts. If a taxpayer has any doubt whether a contact from the IRS is authentic, the taxpayer should call 1-800-829-1040 to confirm it. 4. Zero Return. Promoters instruct taxpayers to enter all zeros on their federal income tax filings. In a twist on this scheme, filers enter zero income, report their withholding and then write “nunc pro tunc”–– Latin for “now for then”––on the return. They often also do this with amended returns in the hope the IRS will disregard the original return in which they reported wages and other income. 5. Trust Misuse. For years unscrupulous promoters have urged taxpayers to transfer assets into trusts. They promise reduction of income subject to tax, deductions for personal expenses and reduced estate or gift taxes. However, some trusts do not deliver the promised tax benefits, and the IRS is actively examining these arrangements. There are currently more than 200 active investigations underway and three dozen injunctions have been obtained against promoters since 2001. As with other arrangements, taxpayers should seek the advice of a trusted professional before entering into a trust. 6. Frivolous Arguments. Promoters have been known to make the following outlandish claims: the Sixteenth Amendment concerning congressional power to lay and collect income taxes was never ratified; wages are not income; filing a return and paying taxes are merely voluntary; and being required to file Form 1040 violates the Fifth Amendment right against self-incrimination or the Fourth Amendment right to privacy. Don’t believe these or other similar claims. These arguments are false and have been thrown out of court. While taxpayers have the right to contest their tax liabilities in court, no one has the right to disobey the law. 7. Return Preparer Fraud. Dishonest return preparers can cause many headaches for taxpayers who fall victim to their schemes. Such preparers derive financial gain by skimming a portion of their clients’ refunds and charging inflated fees for return preparation services. They attract new clients by promising large refunds. Taxpayers should choose carefully when hiring a tax preparer. As the old saying goes, “If it sounds too good to be true, it probably is.” And remember, no matter who prepares the return, the taxpayer is ultimately responsible for its accuracy. Since 2002, the courts have issued injunctions ordering dozens of individuals to cease preparing returns, and the Department of Justice has filed complaints against dozens of others. During fiscal year 2005, more than 110 tax return preparers were convicted of tax crimes. 8. Credit Counseling Agencies. Taxpayers should be careful with credit counseling organizations that claim they can fix credit ratings, push debt payment plans or impose high set-up fees or monthly service charges that may add to existing debt. The IRS Tax Exempt and Government Entities Division is in the process of revoking the tax-exempt status of numerous credit counseling organizations that operated under the guise of educating financially distressed consumers with debt problems while charging debtors large fees and providing little or no counseling. 9. Abuse of Charitable Organizations and Deductions. The IRS has observed increased use of tax-exempt organizations to improperly shield income or assets from taxation. This can occur, for example, when a taxpayer moves assets or income to a tax-exempt supporting organization or donor-advised fund but maintains control over the assets or income, thereby obtaining a tax deduction without transferring a commensurate benefit to charity. A “contribution” of a historic facade easement to a tax-exempt conservation organization is another example. In many cases, local historic preservation laws already prohibit alteration of the home’s facade, making the contributed easement superfluous. Even if the facade could be altered, the deduction claimed for the easement contribution may far exceed the easement’s impact on the value of the property. 10. Offshore Transactions. Despite a crackdown by the IRS and state tax agencies, individuals continue to try to avoid U.S. taxes by illegally hiding income in offshore bank and brokerage accounts or using offshore credit cards, wire transfers, foreign trusts, employee leasing schemes, private annuities or life insurance to do so. The IRS and the tax agencies of U.S. states and possessions continue to aggressively pursue taxpayers and promoters involved in such abusive transactions. During fiscal 2005, 68 individuals were convicted on charges of promotion and use of abusive tax schemes designed to evade taxes. 11. Employment Tax Evasion. The IRS has seen a number of illegal schemes that instruct employers not to withhold federal income tax or other employment taxes from wages paid to their employees. Such advice is based on an incorrect interpretation of Section 861 and other parts of the tax law and has been refuted in court. Lately, the IRS has seen an increase in activity in the area of “double-dip” parking and medical reimbursement issues. In recent years, the courts have issued injunctions against more than a dozen persons ordering them to stop promoting the scheme. During fiscal 2005, more than 50 individuals were sentenced to an average of 30 months in prison for employment tax evasion. Employer participants can also be held responsible for back payments of employment taxes, plus penalties and interest. It is worth noting that employees who have nothing withheld from their wages are still responsible for payment of their personal taxes.